Resides in Azua, DR during the offseason. Spent most of the 2017 season in the Minor Leagues, combining to pitch in 45 games between Single A Lakeland, Double A Erie and Triple A Toledo...also saw his first Major League action, appearing in six games with the Tigers...Named to the Eastern League Midseason All-Star Team...In 45 Minor League appearances, had a combined WHIP of 1.15, which was his lowest since 2013 (1.03), and limited opponents to a .186 (43x231) batting average...Turned in 12 consecutive scoreless appearances with Erie from May 20-June 20, a streak that spanned 19.1 innings...Pitched in 10 games with Toledo in August and had a 0-0 record with a 2.84 ERA (12.2IP/4ER) and nine strikeouts...Made his Major League debut in the second game of the doubleheader on September 1 vs. Cleveland, throwing a scoreless inning...Recorded his first Major League strikeout on September 3 vs. Cleveland, striking out Abraham Almonte...Pitched in three games with Gigantes del Cibao in the Dominican Winter League and had a 0-0 record with a 40.50 ERA (0.2IP/3ER) and one strikeout. Spent all of the 2016 season with Single A Lakeland, appearing in 30 games, including 12 starts...Posted a 7-9 record with one save, a 5.26 ERA (87.1IP/51ER) and 81 strikeouts... Pitched in five games, including two starts, in April and posted a 2-0 record with a 1.29 ERA (21.0IP/3ER) and 25 strikeouts... Recorded the first save of his professional career on July 24 vs. St. Lucie, allowing a run on two hits with two walks and one strikeout in 3.0 innings... Finished the month of August with a 3-1 record, a 3.00 ERA (15.0IP/5ER) and five strikeouts in seven relief appearances... Limited lefthanded hitters to a .152 (17x112) batting average, while righties hit .229 (48x210) against him... Pitched for Gigantes del Cibao of the Dominican Winter League and posted a 1-1 record with a 1.93 ERA (9.1IP/2ER) and eight strikeouts in 11 appearances. Began the 2015 season in the Toronto Blue Jays organization before being acquired by the Tigers along with Matt Boyd and Daniel Norris in exchange for David Price on July 30. ... Started 25 games between Class A Dunedin and Class A Lakeland and had a 3-12 record with a 5.12 ERA (116.0IP/66ER) and 104 strikeouts. ... Ranked third among Florida State League starting pitchers with 8.07 strikeouts per nine innings. ... Assigned to Class A Dunedin to begin the season. ... Picked up a win in his season debut on April 9 at Clearwater, allowing two runs, one earned, on five hits with one walk and three strikeouts in 5.1 innings. ... Sidelined from April 24-May 5 with a nail avulsion on left index finger. ... Made five starts in the month of May and had a 0-1 record with a 2.18 ERA (20.2IP/5ER) and 19 strikeouts. ... Recorded a season-high nine strikeouts on August 9 at Dunedin. ... Threw a season-long 6.2 innings in his final start of the season on September 4 vs. Tampa, allowing one run on four hits with one walk and five strikeouts. ... Pitched for Gigantes del Cibao of the Dominican Winter League and had a 0-1 record with a 7.71 ERA (9.1IP/8ER) and seven strikeouts in nine appearances. Split the 2014 season between Class A Lansing and Class A Vancouver. ... Pitched in 21 games, including 18 starts, between Lansing and Vancouver and posted a 5-3 record with a 2.53 ERA (85.1IP/24ER) and 93 strikeouts. ... Named a short season All-Star by Baseball America and a Northwest League midseason All-Star. ... Led the Northwest League with a 1.77 ERA (71.1IP/14ER) and a .188 (47x250) opponents batting average, while he ranked second with 82 strikeouts and 15 games started -- led all Northwest League starters with 10.35 strikeouts per nine innings. ... Assigned to Class A Lansing to begin the season. ... Allowed two earned runs-or-fewer in 13 of his 15 starts with Vancouver. ... Earned his first win of the season on June 28 vs. Tri-City after tossing 6.0 no-hit innings with three walks and six strikeouts. ... Closed the season by turning in six consecutive starts with one run-or-fewer allowed -- posted a 3-0 record, a 0.55 ERA (32.2IP/2ER) and 39 strikeouts. ... Named the third-best prospect in the Northwest League and the 13th-best prospect in the Blue Jays organization by Baseball America following the 2014 season. Spent all of the 2013 season with Bluefield, pitching in 12 games, including eight starts, and having a 2-2 record with a 1.92 ERA (51.2IP/11ER) and 45 strikeouts. ... Named an Appalachian League postseason All-Star. ... Did not allow a run in his first two appearances of the season, a stretch that spanned 9.0 innings. ... Earned a win in his season debut on June 22 vs. Greeneville, throwing 4.0 shutout innings with one hit allowed, two walks and three strikeouts. ... Had a season-long 6.0 inning start on July 28 vs. Princeton -- also threw 6.0 innings on August 8 at Princeton. ... Made five appearances, including two starts, in the month of July and had a 1-1 record with a 1.77 ERA (20.1IP/4ER) and 22 strikeouts. ... Held lefthanded hitters to a .190 (8x42) average, while righthanders batted .208 (31x149) against him. ... Named the 12th-best prospect in the Blue Jays organization by Baseball America. Saw action with the Gulf Coast League Blue Jays in 2012. ... Started 12 games and had a 0-3 record with a 3.79 ERA (38.0IP/16ER) and 39 strikeouts. ... Tied for the league lead with 12 games started. ... Made his season debut on June 21 at the GCL Yankees, tossing 3.0 scoreless innings with two hits allowed, one walk and two strikeouts. ... Established season highs with 4.0 innings pitched and seven strikeouts on July 13 vs. the GCL Yankees -- also pitched 4.0 innings on July 25 at the GCL Yankees, August 6 vs. the GCL Yankees and August 23 vs. the GCL Braves. ... Finished the month of August with a 0-1 record, a 1.88 ERA (14.1IP/3ER) and 18 strikeouts in four starts. ... Held lefthanded hitters to a .167 (8x48) batting average. Began his professional career in 2011 with the Dominican Summer League Blue Jays. ... Started 12 games and had a 0-4 record with a 2.23 ERA (36.1IP/9ER) and 29 strikeouts. ... Did not allow an earned run in his first seven starts of the season from June 16-July 14, a stretch that spanned 23.0 innings. ... Limited opponents to a .216 (8x37) batting average with runners in scoring position. July 2, 2018 Birmingham Barons released LHP Jairo Labourt. 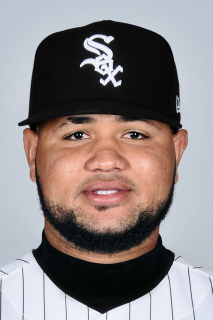 June 2, 2018 Birmingham Barons sent LHP Jairo Labourt on a rehab assignment to DSL White Sox. May 29, 2018 LHP Jairo Labourt assigned to Birmingham Barons. May 28, 2018 Chicago White Sox signed free agent LHP Jairo Labourt to a minor league contract. March 28, 2018 Detroit Tigers signed free agent LHP Jairo Labourt to a minor league contract. March 28, 2018 LHP Jairo Labourt assigned to Toledo Mud Hens. March 14, 2018 Oakland Athletics released LHP Jairo Labourt. March 12, 2018 Oakland Athletics optioned LHP Jairo Labourt to Nashville Sounds. March 12, 2018 Oakland Athletics designated LHP Jairo Labourt for assignment. March 4, 2018 Oakland Athletics claimed Jairo Labourt off waivers from Cincinnati Reds. March 2, 2018 Cincinnati Reds claimed LHP Jairo Labourt off waivers from Detroit Tigers. February 23, 2018 Detroit Tigers designated LHP Jairo Labourt for assignment. September 1, 2017 Detroit Tigers recalled LHP Jairo Labourt from Toledo Mud Hens. July 13, 2017 LHP Jairo Labourt assigned to Toledo Mud Hens from Erie SeaWolves. May 3, 2017 LHP Jairo Labourt assigned to Erie SeaWolves from Lakeland Flying Tigers. April 1, 2017 LHP Jairo Labourt assigned to Lakeland Flying Tigers. March 11, 2017 Detroit Tigers optioned LHP Jairo Labourt to Erie SeaWolves. October 3, 2016 Detroit Tigers recalled Jairo Labourt from Lakeland Flying Tigers. March 14, 2016 Detroit Tigers optioned LHP Jairo Labourt to Lakeland Flying Tigers. November 20, 2015 Detroit Tigers selected the contract of Jairo Labourt from Lakeland Flying Tigers. October 16, 2015 LHP Jairo Labourt assigned to Gigantes del Cibao. July 31, 2015 LHP Jairo Labourt assigned to Lakeland Flying Tigers. July 18, 2015 Dunedin Blue Jays activated LHP Jairo Labourt from the temporarily inactive list. July 11, 2015 Dunedin Blue Jays placed LHP Jairo Labourt on the temporarily inactive list. May 6, 2015 Dunedin Blue Jays activated LHP Jairo Labourt from the 7-day disabled list. April 25, 2015 Dunedin Blue Jays placed LHP Jairo Labourt on the 7-day disabled list retroactive to April 24, 2015. April 9, 2015 LHP Jairo Labourt assigned to Dunedin Blue Jays from Vancouver Canadians. April 28, 2014 LHP Jairo Labourt assigned to Vancouver Canadians from Lansing Lugnuts. March 31, 2014 LHP Jairo Labourt assigned to Lansing Lugnuts from Vancouver Canadians. September 3, 2013 LHP Jairo Labourt assigned to Vancouver Canadians from Bluefield Blue Jays. June 18, 2013 Jairo Labourt assigned to Bluefield Blue Jays from GCL Blue Jays. May 31, 2012 Jairo Labourt assigned to GCL Blue Jays from DSL Blue Jays. June 14, 2011 Jairo Labourt assigned to DSL Blue Jays from Toronto Blue Jays. June 13, 2011 Toronto Blue Jays signed free agent Jairo Labourt.